The fewer dangerous chemicals Ontarians are exposed to, the better, which is why RNAO was thrilled when the provincial government enacted a progressive cosmetic pesticides ban, which came into effect on Earth Day (April 22) 2009. 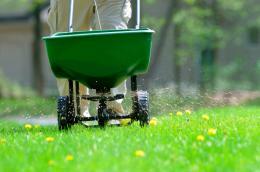 The law includes a list of toxic substances barred from garden and lawn use. It also prohibits the sale of cosmetic pesticides. RNAO played a key role in ensuring people’s contact with these harmful chemicals was minimized. The association participated in a coalition of health and environmental groups that took the lead in pressing for speedy implementation of the law. Prior to the bill’s enactment, RNAO called on the government to correct weak points contained in the document, and also led a campaign that urged municipalities across Ontario to vote in favour of passing their own pesticides bylaws, before the provincial legislation came into effect in 2009. The association’s efforts on this issue did not stop. After the bill passed into law, RNAO continued to advocate for the ban to include golf courses. The association believes in the ban because extensive research shows that pesticides can pose a threat to people’s health – especially those who are most vulnerable, such as the elderly and children. Exposure to pesticides can be linked to numerous health concerns, such as cancer, reproductive damage, birth defects and other developmental disorders. By forming a unified voice that ultimately succeeded in protecting Ontarians from these dangerous toxins, RNAO showed its impact. The ban has effectively ensured people can enjoy their backyards – without worrying about what kinds of harmful chemicals they may be exposed to.